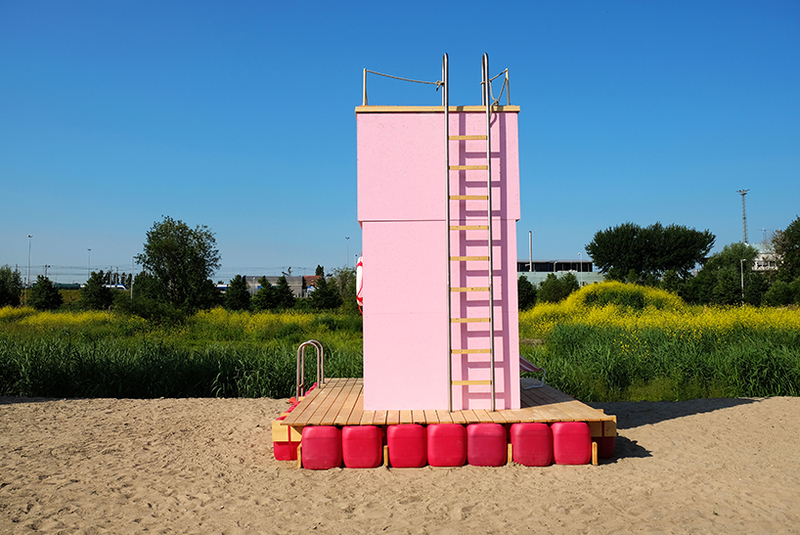 stefanie rittler and sascha henken’s ‘waiting for water’ is a colorful and humorous take on climate change — albeit a serious topic. 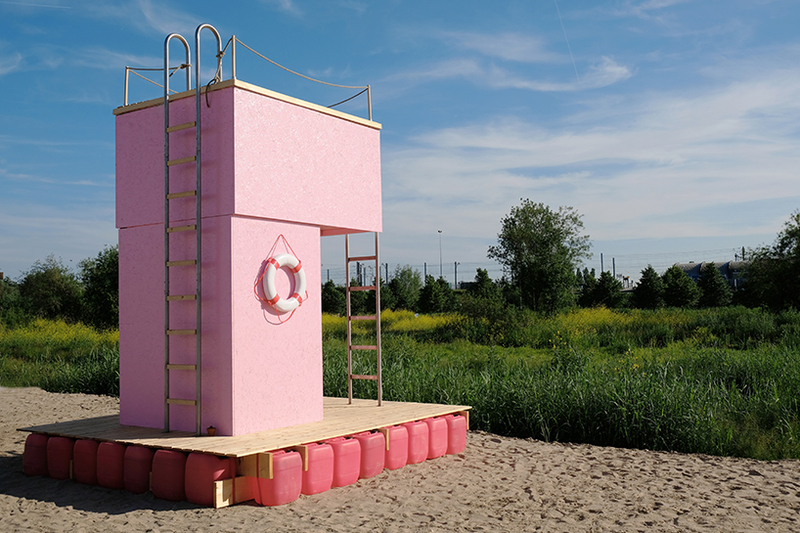 the satirical project is a statement piece reflecting the severity of climate change and is being showcased at the annual 2017 urban campsite amsterdam. 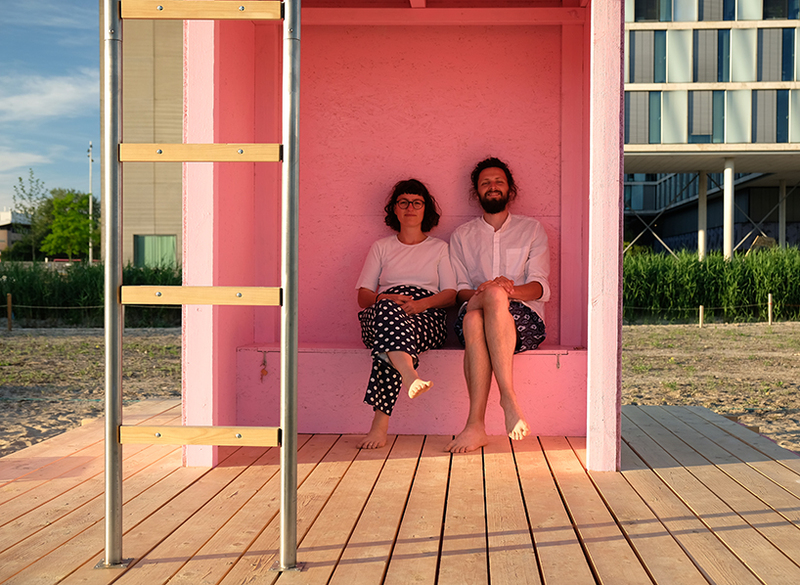 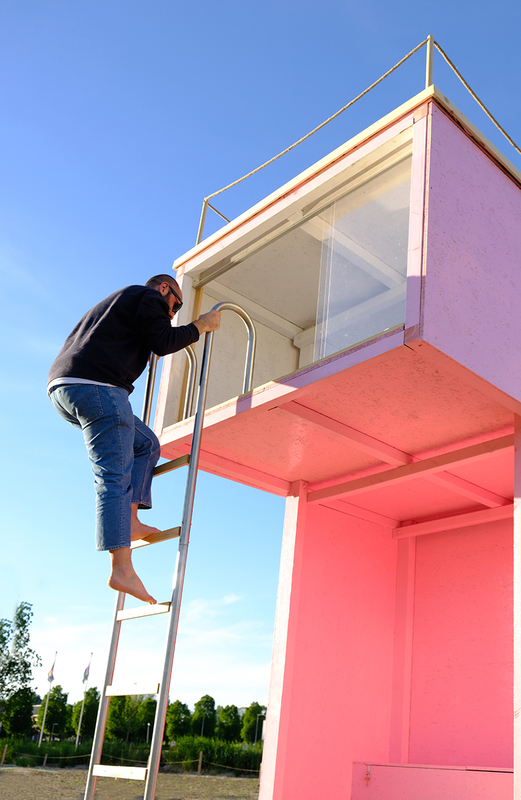 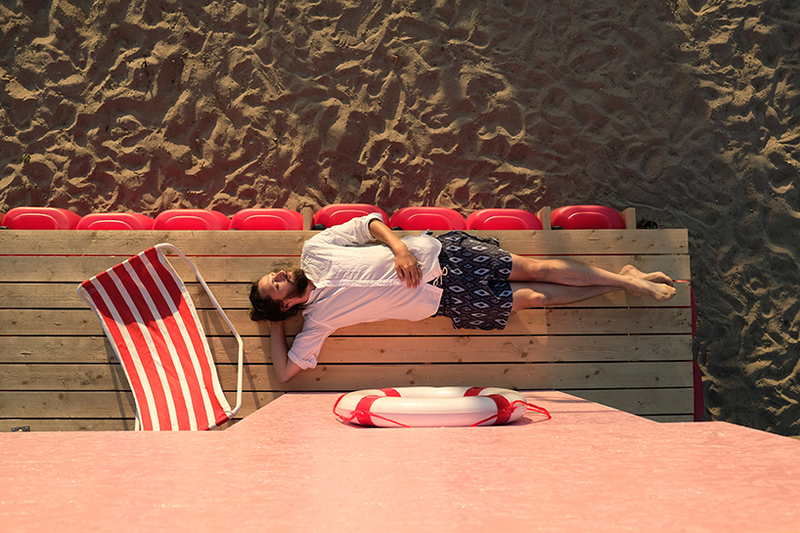 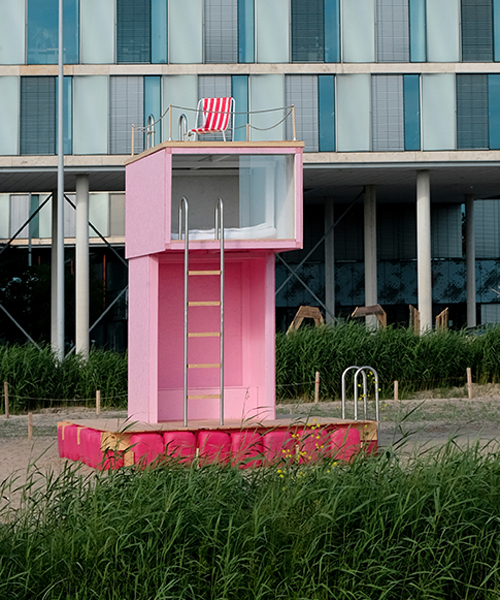 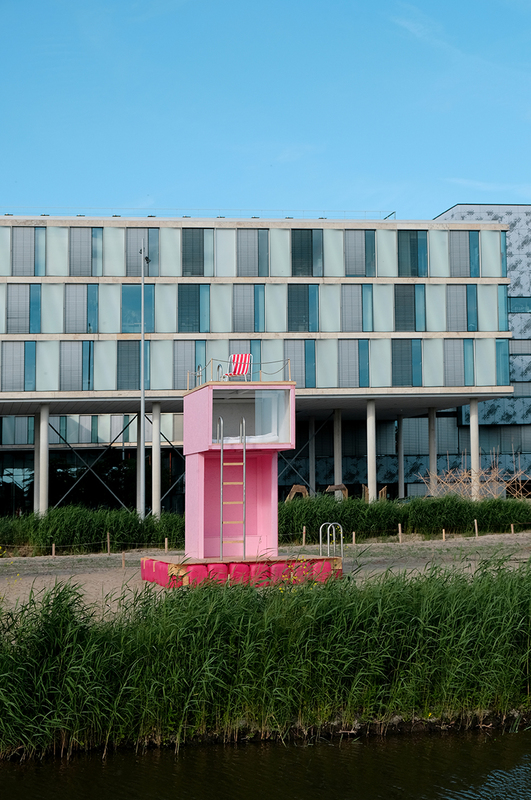 sited at urban campsite amsterdam 2017, stefanie rittler and sascha henken’s project replicates that of a life guard tower, where the base is made of hot pink water jugs, slightly elevating the structure. 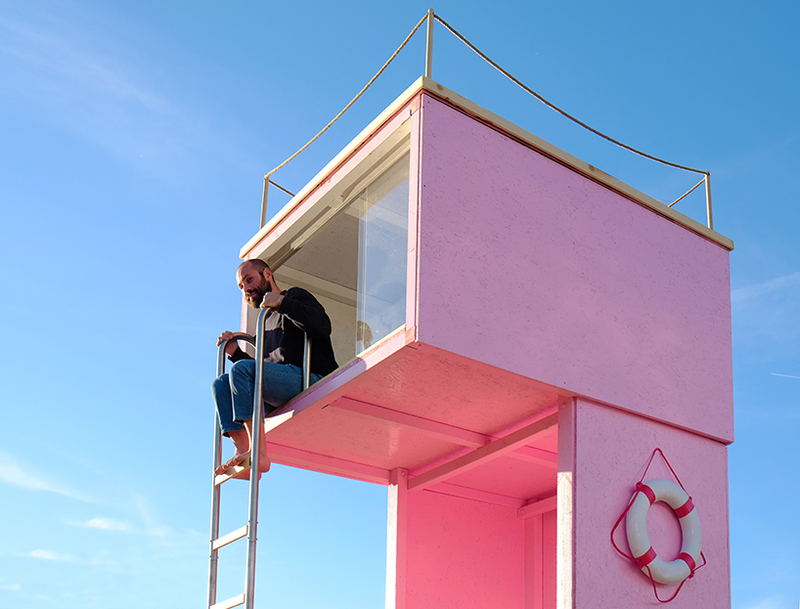 the design includes two staircases: one that leads to resting room that has a bed, and the second leads to the roof, also known as ‘the terrace’, with a single chair, secured with a line of rope. 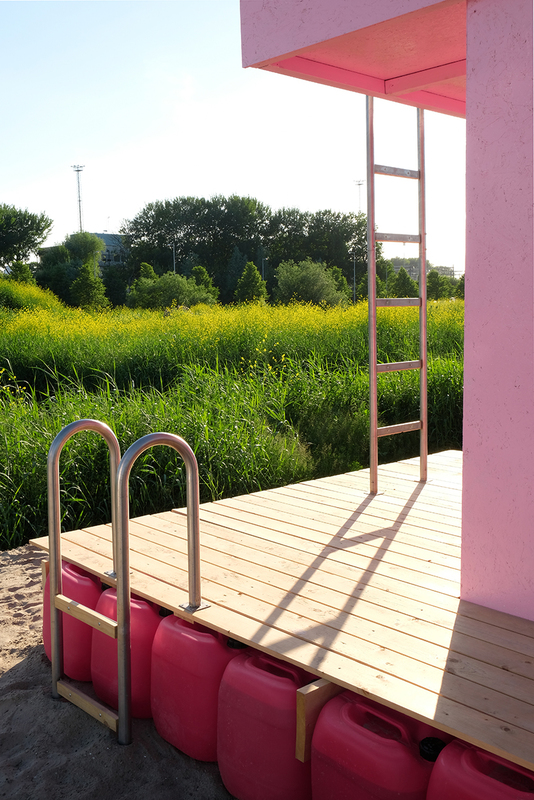 ‘through utopian eyes the future looks brighter than we think.’ explains the artist, ‘the water level is constantly rising, but we are prepared. 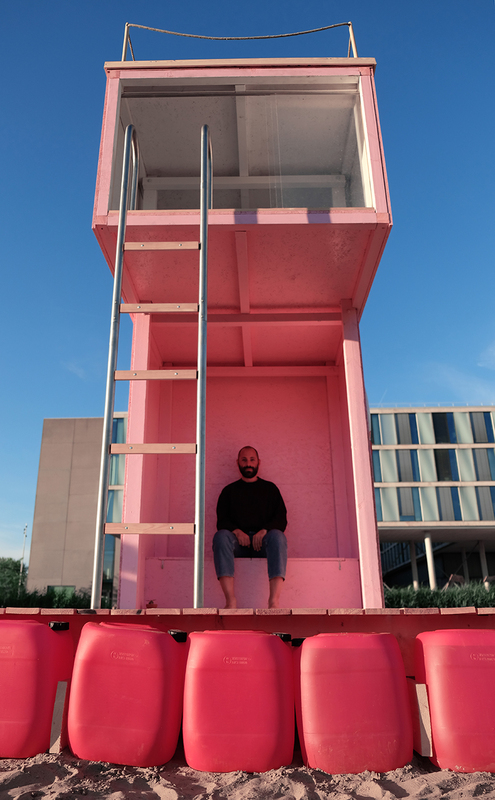 should we wait or change something?’.